Looking for a Great Middle Grade Book? Maybe You’ll Love one of These! 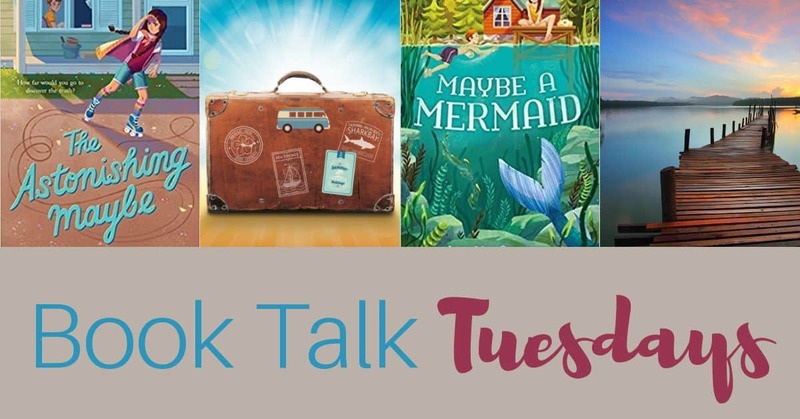 HomeLooking for a Great Middle Grade Book? Maybe You’ll Love one of These! If you’re a parent, grandparent, librarian, or teacher, you might fall in love with one of these new middle-grade novels. Both books have a theme of unlikely friendships and how friends can help us through our tough spots in life. If you’re looking for the perfect book for a middle-grade boy, let me tell you about the Astonishing Maybe. When Gideon, his little sister, mom, and dad pack up and move from New Jersey to Nevada the summer before he starts middle school, he worries that he’ll never make friends. When he arrives in the very brown Nevada (which he’s determined to hate), he discovers a mystery lives next door. A girl about his age who skates around her porch while wearing cutoff jeans, a T-shirt, rainbow-striped socks, and a one-piece swimming suit. Weird. She wouldn’t even look at him as he got out of the car and walked back and forth, helping his parents unpack. The next morning, Gideon discovers the consequences of lying around in his pjs all morning when the odd girl shows up at his front door and invites him over to go swimming. Not at all what he expected. Of course, nothing about his new next-door neighbor turns out like he expected. Maybe he’ll end up with a best friend before the summer ends. If his mom will let him cross the street. Or ride his bicycle. Compared to Roona’s mom, his mom has overprotection issues. But Roona’s mom can bake magical food that can make people cry or laugh or fight. When Roona hatches a plan to help her mom and break her mom’s baking spell, Gideon decides he’d better go along—even if his mom gets angry. Strong male and female characters in this sweet story of friendship, adventure, and coping with life’s unexpected twists. Gideon’s family is incredibly stable, and Roona deals with abandonment and a single-parent mom who has to make tough choices. The themes of mental health, physical abuse, and kids trying to protect their parents from painful truths come into play. Both girls and boys will enjoy this book. A great discussion starter for younger middle grade kids (8-10), but fine for older middle grade kids (11-13). When a girl has a name like Anthoni Gillis (named for her grandfather), life probably won’t turn out like it does for regular people. But Anthoni and her mom know how to set goals, reach objectives, and make things happen. For the last five years they’ve had one goal—help her mom reach Queen Bee level at the Beauty and the Bee cosmetic company. When they reach that goal, they’ll get to spend the summer at the Showboat Resort—where true blue friends meet. And Anthoni has always wanted a true blue friend. Her mom’s job requires that they move a lot. And although her mom has equipped her with the skills for making friends, a girl dreams of having at least one true blue friend. When her mom tells her that the girl she laughed so much with when they knew each other years ago lives in the resort town, Anthoni just knows they’ll rekindle the friendship. But things don’t always turn out the way a girl expects. The Showboat Resort has no other guests (and doesn’t offer refunds). Maddy acts standoffish and Anthoni can’t decide if she wants to be friends, much less a true blue friend. Even worse, her mom hasn’t been exactly truthful about her progress towards Queen Bee. But then, nothing about the summer seems to turn out the way Anthoni expected. Anthoni acts as the narrator of the story, and we see her struggle to stay positive in the face of frequent changes. She and her mom act as a tight-knit unit (she never mentions her father—only a grandfather that she hasn’t seen in five years). The eccentric elderly owner of the Showboat Resort, Charlotte Bouley, acts as a confidant and surrogate grandmother. Although only twelve, Anthoni has firm ideas about friendship, bullying, and standing up for friends. By the end of the summer, she also has discovered a true blue friend in the unlikeliest of people. Mild danger when Anthoni and friends have to untangle Charlotte Bouley from an underwater rope. Great for girls and boys of all ages because of the friendship theme. Thanks for these book suggestions. I’m always looking for quality books to recommend to students.